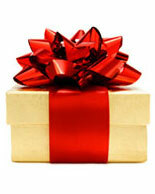 Each passing day is bringing you closer to the busiest shopping season of the year. 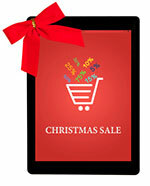 Last year, online sales reached over $54.5 billion in November and December, according to eMarketer. 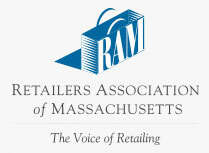 The National Retail Federation expects a 13 percent increase in online retail sales this year. It is important to plan for Black Friday, Cyber Monday and the last minute Christmas Bonanza as early as possible. This guide provides step-by-step solutions to assist you in your holiday campaign planning. First, reflect upon your promotional calendar and campaigns from last year. This will save time and help you build a more impactful online campaign strategy this year. The goal is to identify what worked best, what variables led to that success and the elements you used last year to create even more impact this year. Create a document that highlights your company’s seasonal sales peak periods from last year. This will give you an overview of last year’s campaigns and a framework from which to build as you start to create your promotional schedule for 2013. After you have plotted out your campaign periods from last year, you will want to add in your paid search metrics as well as any other marketing channel metrics you have such as print, email and display. By looking at last year’s performance metrics, you will get a better idea of when your holiday campaign “wave” begins. Look at the ad copy, keywords, location the ads ran, images, URLs and landing pages where ads drove traffic to your site. This will give you a better understanding of what is connecting with your consumers and what is not. What were the sales trends over your holiday campaign periods from 2013? Was there a specific time period that performed better than the rest? Which paid search campaigns drove the best results for each promotional period? Which drove the best results overall? Are there commonalities in your ad creative for your top performing ads? How do your trends stack up against ecommerce trends from last year? Product promotions: Were there specific products that performed better than others last year? What products will you want to promote this year? Promotional and emotional triggers: Were there specific promos that performed better last year? How can you apply them to your paid search ad copy, ad tags and keywords this year? Tone: Did different tones draw different responses, fun, playful or promotional, for example? Images: Were there specific images that got the best response? What images can you use this year that will relate to consumers best? Promotional calendar, including special campaigns for current consumers. Campaign launch dates and flight dates; start and end dates for each campaign. Goals: impressions, clicks, conversions, traffic. Create two or three variations of copy for each promotional period. Select different images for each variation of your ad. This will give you a few options to test to see what appeals to your consumers most. Develop a clear call-to-action for every ad and test different promotional offerings such as 10 percent off and 30 minutes left. 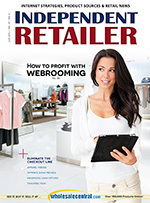 For more strategies to build your 2013 holiday campaign, see “Step-by-Step Guide to Holiday Campaign Planning (Part Two), coming Monday, October 21 to Independent Retailer.com. Happy holiday planning and cheers to a successful holiday season! Vertical Search Works is a search technology company that leverages its proprietary products to deliver more valuable results for advertisers, publishers and consumers across targeted vertical industries. The company provides marketers and business owners with a unique opportunity to reach millions of consumers via its semantic search advertising platform, VSW FeatureLink™. This gives marketers the opportunity to go beyond search engine results pages and reach millions of unique consumers on billions of publisher webpages throughout its Vertical Content Network.